OurEnergyPolicy.org | Is this the end of the line for wind and solar energy tax credits? Should it be? Is this the end of the line for wind and solar energy tax credits? Should it be? The American wind energy industry has grown in spite of the “boom and bust” cycle of wind energy development fostered by the renewal-expiration-renewal cycle of the wind production tax credit (PTC). The PTC is one of the primary tools used to spur wind energy development and expired at the end of 2013. The result was a 92% drop in 2013 installations, compared to 2012. Extension of the PTC will likely be the subject of debate about so-called tax extenders during the upcoming “lame duck” session of Congress as the wind industry seeks an extension of the PTC through 2015. The American solar energy industry has been better off, given the longer time frame the industry earned with the eight-year extension of the Solar Investment Tax Credit (ITC) in 2008. However, that credit will drop from the current rate of 30 percent to 10 percent after December 31, 2016. The solar industry is advocating revision of the credit qualification terms for the ITC from the current standard that states a project must “begin operation” by the deadline, to a requirement that states a project must “begin construction” by the deadline. While opponents of these credits point to the cost an extension would have on federal tax revenue, it is hard to argue with the dramatic success the credits have had in growing both the wind and solar industries. If federal tax revenue is a concern, it seems harder still to justify the bigger tax credits currently available to the far more mature and profitable fossil fuel industries. It is entirely possible that the combined pressure of the renewables industry will successfully secure passage of some sort of tax extender legislation. But it’s not likely that whatever extensions are secured will be long-term. Conversations about what comes next after tax credits have been taking place for years, and the next few months will likely bring them back to the fore again. Is this the end of the line for renewable energy tax credits? Should it be? What impact does the cycle of renewal-expiration-renewal have on the efficacy of these credits? 27 Responses to Is this the end of the line for wind and solar energy tax credits? Should it be? Well, guess what? One hundred years – and hundreds and hundreds of billion dollars later – big oil is still reaping this very generous benefit, along with many others buried in the U.S. Tax Code. And yet some in Congress would like to see the solar Investment Tax Credit mothballed, reducing competition in the marketplace. Really? How is that fair? One hundred years for big oil. But just 10 years for the 30 percent solar ITC. That’s tax fairness? But this disparity is even worse than it seems. Since the United States first began “incentivizing” energy development, the average annual subsidy has been $4.8 billion for oil and gas – compared to just $370 million for all renewable technologies. The 30 percent solar ITC was part of the 2005 Energy Bill. SEIA was able to get solar included during a time when we had a Republican House, Republican Senate and a Republican President. But since that time, solar activity in the United States has exploded. Annual solar installations in 2014 will be 70 times higher than they were in 2006. Think about that: 70 times higher. By the end of this year, there will be nearly 30 times more solar capacity online than in 2006. We’ve gone from being an $800 million industry in 2006 to a $20 billion industry today. The price to install a solar rooftop system has been cut in half, while utility systems have dropped by 70 percent. It’s taken the U.S. solar industry 40 years to install the first 20 GW of solar. Now, we’re going to install the next 20 GW in the next two years. And finally – during every single week of this year – we’re going to install more capacity than what we did during the entire year in 2006. So anyway you look at it, the ITC has played a major role in solar’s remarkable growth in the United States. We are more competitive; the marketplace is maturing; financing has become more innovative; and solar is no longer considered a nice, little niche industry. In fact, solar is now the fastest-growing source of renewable energy in America. That said, we are still a very young, developing industry and need a level playing field to be able to stand toe-to-toe with oil, natural gas, coal and nuclear. Without question, smart, forward-looking policies like the solar ITC are paying huge dividends for our country and deserve to be continued. Ken, thanks for taking the time to reply. And I really appreciate your addition to the discussion – you’ve added a lot of useful background on the specific benefits of the ITC and I think that’s helpful to advancing the conversation. I agree with you and look forward to hearing more about SEIA’s efforts in the future. I agree with Ken. But in addition to giving a tax break to clean energy, we must also stop subsidizing dirty energy and, on top of that, put a rising fee on the CO2 content of fossil fuels. The IPCC has spoken quite clearly and time is of the essence. Dan, you make good points. But realistically, what do you think the chances are of phasing out other subsidies? Do you think a carbon tax (or similar) conversation has any chance in the new Congress? As I mention in the talk, like the tipping point on gay marriage, when it comes to action on climate change, we will go from impossible to inevitable without stopping at probable. And point taken on what energy policy “should be.” I do wonder, though, how much appetite there is in Congress for new revenue models such as Fee & Dividend. As Ken points out in his reply, the facts of renewable energy development speak for themselves. As a supporter of the renewables industry, I do hope that facts plus a smart legislative strategy will be enough to secure positive action on the tax credits. Some of us have argued for years that the only way to really compare energy costs is to demand a “level playing field”. How can a supporter of ‘free markets’ disagree? But the argument in Congress is not about free markets. It is about who gets the spoils of a rigged market, an energy market that has been rigged for 100 years. The primary purpose of the tax write-offs 100 years ago, as it is now, was to support the growth of a developing industry because it was in the country’s best interest. The tax measures succeeded. They helped create the most profitable corporations the world has ever seen. 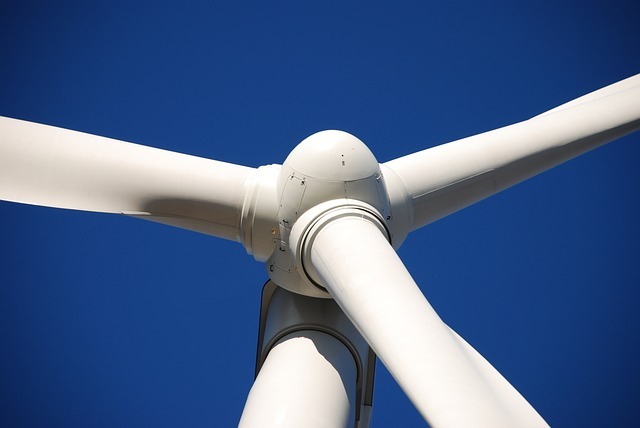 Today, the new tax credits are succeeding in developing the wind and solar industries and so far those new industries continue to need some level of predictable financial support to propel their growth. The question is … if Congressional Republicans actually want to make changes to the tax code … can we begin by eliminating, or at least phasing out, those very old special tax expenditures for the fossil industries? According to the American Petroleum Institute the 3 most egregious write-offs would bring in an additional $30+ billion in 2015. They certainly don’t need our tax support as essential ‘developing” industries today, and tax code revisions could go a long way toward “leveling the playing field” of prices for renewable energy, as well as propelling investment dollars away from fossil fuel exploration, one of those tax preference items. While a tax fix would not level energy pricing that is also skewed by the offloaded societal costs to health from dirty air, or the community born costs of polluted water, it would ease the transition to clean energy. The $10 billion the government receives from oil and gas production revenue is dwarfed by the budget’s fossil tax losses. However, nothing will happen if Congress remains locked into protecting business as usual through lobby dollars and the long promulgated myths about our technological and financial ability to make the transition now. Jane, thank you for weighing in. I support tax credits for renewables and hope to see the PTC and ITC continued. I’m curious as to the mood of the new/incoming Congress on these questions, however. What will they do on a PTC extension? And will they be amenable to changing the terms of the ITC? A few hints are emerging (to your point about changes in the tax code), but I’m not sure we know enough yet to determine what might happen in the new session of Congress. I totally agree that we do not know enough … but I personally worry that de-carbonizing is up for negotiation … the pipeline, exports of carbon fuels, and GHG caps. I, like the IPCC, believe we have already used up the time we should have been creating the plan and begun phasing out fossil fuels, although Dr. Chu did a good job in bad circumstances. The day after the election, Mitch McConnell evidently said that passing the KXL Pipeline and rolling back EPA limits on polluting emissions from coal fired power plans are two of his top priorities. The decarbonizing opposition is funded and organized by ALEX and its affiliates. The Kochs are the largest leaseholders in Canadian tar sands properties. And, Bloomberg News has reported that Ms. McCarthy said the administration anticipates “a lot of give and take with the states.” I sure hope she has a national bottom line. I too, would prefer to see a fee and dividend policy. The Cap would have a science basis and limit to some extent the inevitable negotiation. The dividend aspect makes arguing against the policy harder too. Looks like I am wrong about the administration’s bottom line … couldn’t be happier! I must have missed something. Should I be worried? /2011/11/13/366988/over-half-of-all-us-tax-subsidies-go-to-four-industries-guess-which-ones/), and in 2012 Todd Neeley DTN Staff Reporter compiled oil industry federal and state subsidies (in 2010 dollars) equaling $133.2 billion to $280.8 billion/annually/ .96 cents to $2.01 per gallon produced. The point being, that why should public policy under some ruse of tax reform, leave all the mature energy industries’ subsidies stand, and the newest kids on the block with none ? No longer is it worth being complacent or accepting – the American people won’t be fooled, nor will it be accepted by any party or electorate division. Scott, thank you for taking the time to read and reply to this post. And thanks for sharing the helpful perspective of the cost comparisons – those figures really do highlight the disparity in a useful way. Now the challenge will be to ensure these facts are widely understood as the debate heats up. The point about nuclear power for backup is as applicable in the USA as in Germany or anywhere else. In fact, the methane leakage rate of the gas that Germany buys from Russia’s Siberian gas fields is so high (estimates range 15-25%) that from a CO2 standpoint Germany would be better off just burning coal. Several studies have calculated that, because of the intense GHG effect of methane, if just about 2-3% leakage rates occur, there is no benefit compared to coal burning in terms of GHG effects (of course you would still avoid the other pollutants in coal that have more immediate effects). The notion that wind and solar can provide the energy to power modern societies is a beguiling fantasy, one that has millions of people supporting policies that they hope will lead to that energy utopia. Many in the media and politics buy into it. Germany and Denmark (both with some of the highest carbon footprints per capita) have taken their entire countries down that road for decades now, still crowing about their success when all the data indicate utter failure. They just keep doubling down, as oblivious to the futility of their policies as trickle-down economics boosters who insist that it’ll surely work if we just give more to the wealthy. “The reason is simple. Solar energy is dilute. Once it’s collected the various applications become possible. But to collect it in the amounts required to make a real difference is a huge difficulty. There is no short cut, no technology can be invented to surmount it: massive areas of the earth’s surface must be devoted to it. Solar energy has been well understood for over a century; the amount of solar energy falling on the planet is known, fixed and unchanging. The areas required for collectors, if solar was to make a significant contribution on the scale of present energy needs, are, in turn, on the scale of entire states. Fully recognizing that my view is politically incorrect, I do believe that wind and solar tax credits should be ended. And nuclear power should be fully recognized as at least as desirable as any other low-carbon energy source. The EPA’s Clean Power Plan Rule that classifies wind and solar at 100% when calculating the baseline emissions profile of each state rates nuclear at 5.8%, doubly preposterous when one considers that wind and solar is forcing in gas and coal as “backup”. And while I’m being politically incorrect, let me just leave with a question: Since when is something called “backup” when it provides 3/4 or more of the desired commodity? If you had a quarterback who played less than one quarter per game, would you call his replacement who plays the other three quarters the backup quarterback? The public, the media, and the politicians have been bamboozled far too long by the all-renewables fantasists. It’s time for data and rational thought to guide energy policy. It doesn’t look like you include all the subsidies in your comparison, for example, the risk waiver that the government provides for nuclear. But the biggest subsidies of all are the external costs created by the burning of fossil fuels… i.e., climate change caused by the creation of greenhouse gases. CO2 lasts in the atmosphere for hundreds to thousands of years, so the economic benefits of burning the fuel is short term, but the costs go on for virtually forever. As someone said, “it’s like peeing in your pants to stay warm.” These external costs are huge and could eventually sink the entire economy. It makes no sense to compare energy costs without taking into the account the impacts of climate change. Now most of your focus in your comment was on nuclear. I agree that nuclear is good for fighting climate change and, I believe, that a nuclear plant is 1000 times safer than a coal plant from just about any metric you wan to use. But nuclear has two problems: 1. it’s expensive (and time consuming) to build, and 2. people have an irrational fear of nuclear. Perhaps small-scale (room sized), inherently safe nuclear plants will come of the scene soon and allow the rapid deployment of nuclear power. But for now, we can deploy renewables and we should be encouraging that for the sake of our children. Dan, I couldn’t agree with you more about the externalities of fossil fuels which, as I mentioned, shouldn’t be ignored by renewables advocates in the case of natural gas. I want to be able to get rid of fossil fuel use entirely, which can be done if we deploy nuclear power on a large scale. If we would construct sufficient nuclear power plants to provide peak demand—which is 2-3 times average demand, depending on your industrial/residential profile—we would have vast amounts of excess energy with which to fabricate any liquid fuels we need, such as jet fuel. Surface transportation will soon be at the point where it can be all-electric (using today’s lithium-iron batteries, or something even better if it comes along). There’s no technical challenge to making liquid fuels out of CO2 and water, it’s only a matter of the value of the energy going in compared to the value you’re getting out. If you have so much excess energy, that equation changes to make it entirely feasible, since nuclear fuel costs are trivial. But that’s with the nuclear plants in use today, which are mostly lightwater reactors. Integral fast reactors (IFRs), which we’re ready to build (see GE’s offer to the UK to build PRISM), will use nuclear “waste” from these older reactors as well as depleted uranium. Fuel will be essentially free for nearly a millennium, without any need for either mining or enrichment. It’s already out of the ground, and countries pay others to take it in some instances. Also, in reference to your point about the time it takes to build them, the PRISM reactor is designed to be mass-produced, and all the evidence (including GE’s own Senate testimony) would indicate that they’ll be very economical, about $2/watt in 2014 dollars. The only bottleneck to massive deployment would be a shortage of startup fuel. The UK is in the catbird seat on that score, since they have the world’s largest inventory of plutonium and could quickly make the UK completely energy independent. Other nations could start up various numbers of PRISMs (or similar fast reactors) but it would take a while to breed more fuel (they produce more fuel than they burn and can produce enough to fire up another in about 7-8 years). So if they were to be built in large numbers it’s likely we’d want to continue to mine and enrich uranium for a while to effect the transition a bit faster. Of course the enrichment process could be done with nuclear-produced electricity so what used to be the biggest carbon emitter of the nuclear fuel cycle would be rendered moot. As for mining, leach mining for uranium that’s being done more and more today has a minuscule environmental impact compared to old methods. The bottom line is: We could do this and do it quickly, and the IFR is far superior in terms of passive safety compared to even the best current reactors which, by the way, have been greatly improved with the availability now of the AP-1000 and the ESBWR. Those newest lightwater reactor designs are extremely safe, yet they still produce so-called (and mis-named) “nuclear waste” which the IFRs will ultimately dispose of. If anyone reading this is interested in a lot more detail about this, my book Prescription for the Planet is available free online at tinyurl.com/9992kma. And for those a bit more technically inclined, I highly recommend the book Plentiful Energy, available on Amazon. As to your second point—that the public has an irrational fear of nuclear power—this cannot be used as a reason to abandon what is arguably the only zero-carbon baseload technology capable of providing all the energy humanity needs. Policymakers have to promote solutions that actually work. Part of the problem is that overzealous promoters of wind and solar keep telling people that all we need is wind and solar (and other niche technologies like wave and tidal power systems that have yet to be proven viable at scale). So if you’re inclined to be afraid of nuclear (due in no small part to the fact that nuclear has been the whipping boy for environmental organizations for years) and you believe that all we need is wind and solar, it’s easy to be anti-nuclear. Indeed, it’s entirely logical. So the public needs to be educated, not only about the realities of new nuclear power systems and their safety, but about radiation in general and about the realities of wind and solar and the fact that they need “backup” systems capable of meeting peak demand by themselves. That is a HUGE part of the picture that is too often ignored. We need real solutions, not wishful thinking. As for continuing to subsidize wind and solar for the sake of our children, are we really helping them if our backup natural gas systems are so leaky that we’d be better off burning coal? I would encourage you to educate people about nuclear power and promote the building of new, safe reactors rather than continuing subsidization policies that will result in ever more methane leakage. That is a very serious issue. By the way, just one more note on the issue of time to build nuclear: France converted their electricity generation from 20% to 80% nuclear in just 11 years, and that without the newer modular type reactors we can build today. During that time their electricity demand doubled, so in effect they went from 10% to 80% in just 11 years, during the Seventies and Eighties. We could easily best that record today, if the political will were there. I would argue that it is incumbent upon us to do so. Yet China is the only nation that is even coming close to such a ramp-up. Tom: Nuclear doesn’t emit CO2 so I’m for it. But don’t underestimate the importance of public perception on this. Countries are shutting down perfectly fine, working nuclear plants over perceived safety issues. It’s not rational, it doesn’t make sense, but it is the way it is. The whole climate change “debate” is irrational. We have a threat to our very existence and, for the most part, policymakers ignore or even deny the threat. I think that with careful branding and message control, a new generation of small modular reactors could be deployed. But don’t forget that people care far more about how they die than if they die (just see the recent ebola coverage for one example). As for renewables, I think they can provide a very large percentage of our energy needs even without nuclear. So the lack of nuclear is not a reason for not pushing renewable deployment now. Dan, you write: “As for renewables, I think they can provide a very large percentage of our energy needs even without nuclear. So the lack of nuclear is not a reason for not pushing renewable deployment now.” For one thing, I doubt that they can provide a very large percentage, certainly not without massive investment and grid instability issues. But I reiterate a big objection I have aside from the costs, environmental impact, need for vast new grid construction, etc: What are we using for “backup”, which provides the majority of the power where wind and solar are concerned? As long as that’s not nuclear, and as long as the gas leakage rate is 2% or more (which it almost certainly is even in this country and most assuredly is in Europe from the Russian gas fields), then renewables are no better (and very possibly worse) than just burning coal, in terms of GHG effects. Sorry, I can’t support the financial incentivizing of energy systems that are ultimately worse than business as usual. We should be focusing on technologies that actually solve the GHG problem, whether the misled public feels comfy with them or not. Public opinion can be brought around. It’s ironic that public education about nuclear power is being hampered predominantly by establishment environmental groups. Tom: I believe you are conflating natural gas and renewables. I agree that NG can be as bad as coal from a climate change perspective. There is no requirement that we must use a significant amount of NG to balance out renewables. Yes, it will take more work on grids and energy storage, but that is a reasonable challenge compared to getting nuclear deployed on a large scale in the next decade or so. There are many papers and articles written on how we can go virtually 100% renewables without reducing reliability. Already Germany, Denmark, Spain, and Portugal get 30 to 58% of their electric energy from renewables, and Germany and Denmark have higher grid reliability than we do. Renewable diversity, forecasting, dispatchable renewables, storage, and demand-side controls can replace our generation-only approach to energy. There may be many papers and articles written about how we can go virtually 100% renewable, but none of them are credible. Google put four years and a lot of money into exploring this question. You might want to read this to see what they found. And those countries don’t get nearly 30-58% of their energy from renewables, even if you include hydro. In 2013 Germany got about 22%, but that’s gross generation. In fact, much of that portion that’s wind-generated was dumped into neighboring countries, some at a loss where they have to pay to get rid of it because it’s generated when nobody wants it. 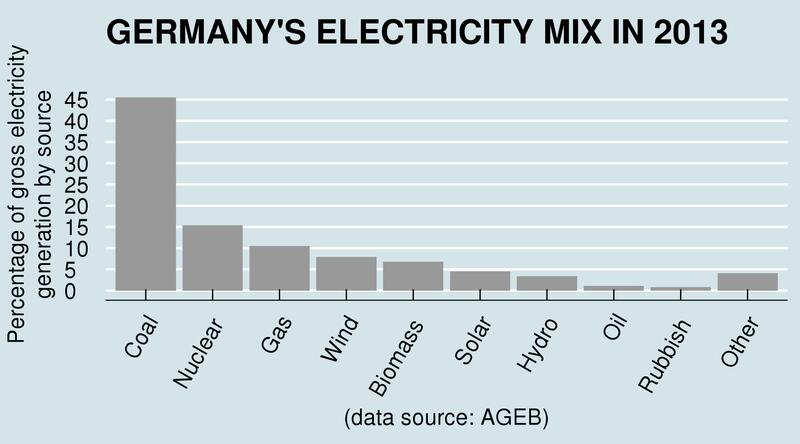 And your assertion about Germany having great grid reliability is given the lie by many articles, such as this one. You seem to be unbelievably glib when you say “Renewable diversity, forecasting, dispatchable renewables, storage, and demand-side controls can replace our generation-only approach to energy.” Forecasting doesn’t do much good if your forecasts indicate no wind or sun, and dispatchable renewables (presumably biomass and hydro) provide only a small fraction of Germany’s electricity. And glib hardly even touches it when you say, “Yes, it will take more work on grids and energy storage, but that is a reasonable challenge compared to getting nuclear deployed on a large scale in the next decade or so.” Grid-scale energy storage has yet to make a dent in demand, and in fact some of Germany’s few pumped hydro storage sites are shutting down because they’re not economically viable. On the other hand, GE’s PRISM reactors are designed to be mass produced and could be built by the thousands within less than a decade, if the political will can be mustered. Your assertions are widely echoed by renewables advocates. The only problem with them is that many of them are either utterly untrue or, if technically feasible, not viable. I am afraid that the numbers you quote do not include the numbers Scott Sklar and I are talking about. This is because ours are ‘tax expenditures’ and as such are not part of the federal budgeting process. To quote the EIA report referenced by your blog … the EIA only included numbers that provided “a financial benefit with an identifiable FY 2010 federal budget impact” … and benefits that are specific to the energy industry. Scott’s foreign tax credit for income taxes paid to foreign countries because this “tax provision is also available to non-energy industries” even though “major oil companies are significant beneficiaries of this provision”. Nuclear liability issues which many claim are underfunded. I would argue all energy subsidies should go away. Nate, thanks for reading the post and commenting. Would you like to share a bit more of your thinking? I, for one, would be interested in knowing why you think all energy subsidies should go away. For example, under that approach, how would emerging technologies compete with larger, more established ones? Would the result be a truly level playing field or just survival of the fittest (and presumably, the largest)? Nate, I would agree, with caveats. If you look at big energy projects (dams, etc), they existed only with government involvement. The up-front capital cost of such projects are prodigious, and I think are a reasonable place for loan guarantees, which are not in the same class as subsidies. That being said, I believe that the newer generation of mass-producible reactor systems won’t need such loan guarantees, because they’ll be able to pay for themselves very quickly. We do have to build the first ones, though, and the current licensing procedure in the USA is hopelessly broken. It costs about a billion dollars just to get a new design certified for an evolutionary development of light water reactors. It’s anybody’s guess how much it’ll cost to get fast reactors certified. Nobody’s been willing to go there yet and commit what could be vast sums to a design that the NRC isn’t even prepared to license. The other place that nuclear power is accused of coasting on with subsidies is the Price-Anderson Act by which the federal government assumes some of the liability in the event of a nuclear accident. Yet what happens if a hydroelectric dam breaks? The companies that own and operate them don’t have private insurance either. I don’t think that qualifies as a subsidy to compare with directly giving money to wind and solar projects, like the $21 billion that’s been divvied up among wind and solar projects from the ARRTA’s 1603 program (which throws that graph you linked to quite out of whack, its subsidies being from 2009 to 2014). The insurance issue is the only tricky issue when it comes to nuclear. If the Price-Anderson Act were not in force, would any insurance company insure a nuclear power plant? At what cost? Would a refusal of private companies to insure nuclear force nuclear power from the stage altogether? What could possibly take its place as a zero-carbon baseload alternative? This is a serious question. Aside from that one very important issue, I would be delighted to have all energy subsidies end. By the way, nuclear power plants do carry insurance, they’re not totally coasting. Many thanks to Tom Blees for an excellent posting, even though politically incorrect! We are getting into the details of the tax codes, and there is virtually no chance that we will find an agreeable understanding. It is far too complicated. I do agree with those who say that we should eliminate all of these coveert and overt subsidies. That would include reverse subsidies such as the electric utilities subsidizing the functions of the NRC. Tom correctly addresses the German fiasco in very clear and unambiguous terms. We could learn much from the German experience. I will never understand the “Expert” commentary that disregards the very real affect their comments and recommendations would have on the operating availability, reliability, and cost of electricity from the power grid. I suppose many of our experts actually favor abolishing the grid for something greener. Hopefully they will wait until fusion power arrives to save us all from poverty. Incidentally, we do have new hope for the planet. I understand that China (the world leader for GHG emissions) has just agreed to stop INCREASING it’s GHG emissions by the year 2030! I suppose that will keep hope alive as we shovel snow this winter.